A saboteur is hiding in the rainforest canopy, and the elves’ precious cardamom export has been wiped out. Caramel is certain it’s another trick of Alexander222 and her Aunt Isabel, but no one will believe her, and the clock is ticking. She must expose the saboteur in time to save the crop or the Elves of Cardamom will lose their livelihood. Caramel won’t rest until her theory is proven. While she is on the hunt, she makes a shocking discovery, one that will change everything. Life is sweet for Caramel and things are finally getting back to normal. Well, as normal as it can be for a telepathic elf who can train trees and control computers, but she soon finds life on Cardamom is not all cupcakes and apple cider. A saboteur is hiding in the rainforest canopy, and the elves’ precious cardamom export has been wiped out. Caramel is certain it’s another trick of Alexander222 and her Aunt Isabel, but no one will believe her, and the clock is ticking. She must expose the saboteur in time to save the crop or the Elves of Cardamom will lose their livelihood. Caramel won’t rest until her theory is proven. While she is on the hunt, she makes a shocking discovery, one that will change everything. Follow Caramel’s gripping adventures in the exciting sequel to “Escape From The Forbidden Planet.” Suitable for Children aged 9-12. 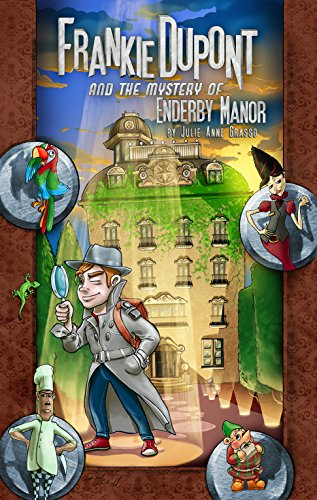 This Kid Reviews Books: I really enjoyed this book - in fact, I read it in only one day! The book was very exciting and entertaining! I liked all the plot twists. They kept me on the edge of my seat. I really like Jorde, Caramel's friend. He's nice and pretty cool and good with computers. I think I would be very good friends with him. The story idea is great! I really hope that there will be a Book 3 in this series. Like Book 1, Book 2 was super clean and a great read for young readers! 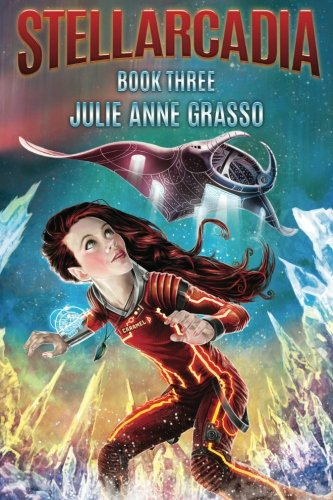 Mother Daughter Book Reviews:Julie Grasso wastes no time in getting the action rolling in Return to Cardamom, the sequel to Escape From the Hidden Planet. This time around Grasso weaves a similarly complex and engaging plot, merging science fiction and fantasy, and featuring an immensely endearing main character in Caramel, the elf princess who, despite a physical disability, proves to be brave, intelligent, and loyal as well as gifted as a healer. All the things I loved about Book 1, Escape From the Forbidden Planet continue to be the strengths of the second book. Grasso has created an imaginative and interesting world in Cardamom and I love the way she describes the relationship between the elves and the cardamom plants. There is a recognition of the nearly symbiotic nature of the relationship between the two. While the elves tenderly care for the plants, the cardamom stems then lovingly impart their pods to the elves who rely on the seeds as their primary source of energy. This concept is so beautiful to me and carries an important message to the future caretakers of our planet. As I’ve discussed in one of our Kid Lit Questions of the Day, I sometimes feel that more mature themes are often thrust onto children far too earlier. Return to Cardamomis a middle grade book that I find completely appropriate for middle grade children (i.e., no bad language, no violence, no sexual innuendos). 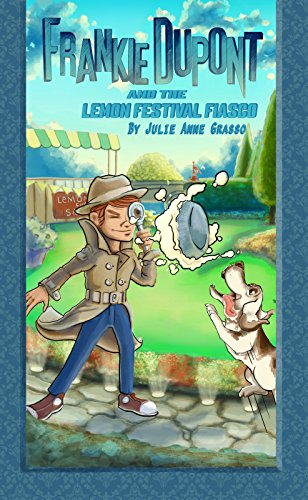 The major themes underlying the story in the book are all relevant to the target audience of tween/teen kids: friendship, loyalty, forgiveness, courage, and perseverance. I think that Grasso has hit the right level of tension for this age group by avoiding darker and more mature themes but still challenging budding social consciences with its foray into the fields of conservationism, technology, and bioethics. And then there is Caramel … I just love Caramel (early sketches by David Blackwell depicted to the right)! As far as role models in middle grade books, she is TOPS! 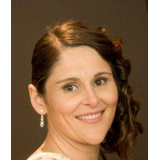 Despite a physical limitation from an accident in early childhood, she is a brave, fiercely loyal, highly intelligent, and compassionate young lady. There is just something about the way she is written that feels completely genuine and relatable. More Caramel … oh, and more cake. Sorry, I got distracted there for a moment! Do you need to read the first book Escape From the Forbidden Planetfirst before you dive into Return to Cardamom? Good question. I don’t have the luxury the reading the second without reading the first one beforehand. The author does provide some of the backstory from Book 1, but the second book moves along quite quickly. Return to Cardamom picks up from the first in the series, Escape from the Forbidden Planet, showing that all was not happily ever after, after all. There are a lot of names, places and modes of transport to get to grips with if it is your first encounter with this series, but if not, you soon meet up with old friends. As with the first book, just as you think it’s all over… a whole load of things get much worse. 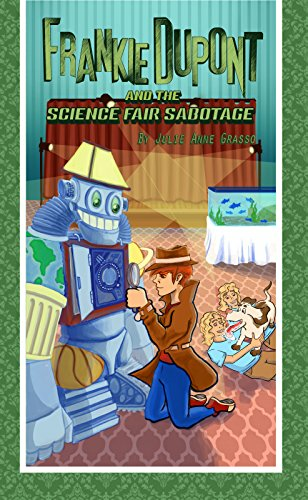 Julie Grasso twists and turns her plot so that your mind is performing mental agility tests along with Caramel’s own mind-games. Although I sometimes have difficulty visualising the Planet Cardamom, Ms Grasso’s descriptions of other planets, and the biology, medicine and computer science involved in the story, are first rate. There are enough different sciences in this series to keep the biggest geek entertained – and I’m quite a geek! Caramel and her friends are great characters and both boys and girls have someone to identify with. It’s a rollicking story with some lovely twists at the end and some heartwarming messages hidden deep enough not to produce any ‘yuk!’ noises from those requiring sterner stuff. Something for everyone, wrapped in a whole that is as sweet as honeycake but with nerves of steel! A great read!